A letter from Santa, Music and Party, Party Party, the week 17 Carr family blog is in the books. I am not what you would call a huge fan of classical music. I should clarify, I can certainly appreciate the harmonic game that is played by each individual instrument, and the magic that occurs when notes and sounds are woven together to form melodies and counter melodies in this orchestrational style, but it is one of the musical genres that I have to confess I know very little about. I am sure true classical musical fans, would say that the music in modern musicals, although played on the same instruments, is just not quite the same thing. 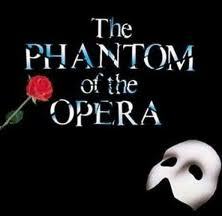 The reason I bring it up is that I am a fan of the music from the Phantom of the Opera. When Nathalie and I first started dating, at some point in the first couple of years, we went to see the live performance of the Phantom, and our love for the words and music of the show were cemented in our hearts, and still to this day, we both have selections from the play on our respective iPods. Since then, we have seen the play another 3 times and plan on another couple of time for sure. When I am alone in my car, I will often put in the CD and listen to as loud as I can, and I am catapulted back to that first performance, and the shared experience of falling in love with not only the music but the person I was with. Mushy stuff aside, this week, it was fun listening to the CD in the car again with the girls, who have seen and enjoyed the movie and know the music quite well, but do have some questions about the plot. Jordyn, talking about the movie, says, “I like the whole movie, except that part when he is yelling!” Never turning down an opportunity to wrap a life lesson into a response, I say, “Well Jordyn, the Phantom is so in love with Christina, that when he realizes it is a love that he can not have, he shows us how mad he is by getting that upset and yelling. But the amazing thing is that he shows us how sad he is to loose her, but in the end, he lets her go, because it is the right thing to do. Sometimes, in life you have to let something go that you love and it hurts.” Confident in my response, I sit back with pride to have her reply, “Well whatever, I just don’t like him yelling!” I tried! Well I guess I have to be proud of the honesty flowing from my little Buglia over the last little while. I only know of this newfound trait, because of the return letter she received from Santa this week. At first, she was a little unsure of sharing it with us, but after she finally did, we discovered that at one point in the letter she sent to the big man himself, she must have just laid it all out on the line and made some kind of confession. “I heard that you have been a little naughty at school and at your babysitters, but don’t worry there is a lot of time to get back on the nice list”, he tells her, and we are sure glad he did. That must not have been easy for an 8 year old, thinking that this year her chance of a nice gift was a lost cause. Thanks also for the confirmation of a somewhat mystery with respect to what it is she wanted for Christmas. Santa acknowledged in his letter, that she had asked him for a “surprise gift”, so that makes us a little more confident that we should be able to meet all the needs of all on our lists, naughty OR nice. I love this time of year for so many reasons, but certainly one of the biggies is the number of times you are invited to visit and make the rounds of cheer and joy at gatherings of like-minded individuals. One little such gathering, I look forward to each year, is a party to celebrate Christmas, the end of a semester, or as the invitation says, the “Winter Solstice Gathering” at our friends house. This is the 10th annual event of its kind, and although we have not been to all of them, we have been to more then half and the one thing that is always clear is that these friends, have the most dynamic group of friends we have ever seen, and by sheer luck, we must be included in that list, because we were there too. The stories, and laughing and dancing make for a very interesting evening, and thanks to great hosts, the food is wonderful too. Often to pass time during car rides, the girls play word games, and sing and in most cases just laugh. This week, we had a serious case of the giggles, and at the time I looked at Nathalie and said I have to remember to write about it. The art of the knock knock joke is just that, an art and not everyone can either get it, or more importantly give it. I totally get that! Jordyn is a big fan, and when the girls start to giggle and tell each other riddles or stories, inevitably, it is Jordyn that throws in a knock knock joke or two. They, quite often are the same ones, but we still laugh. Orange you glad I didn’t drive off the road?